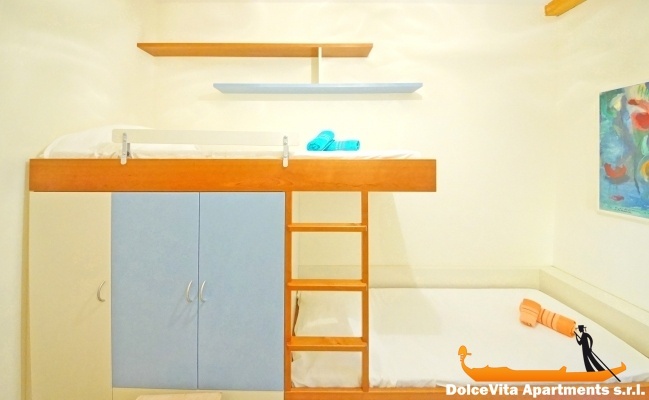 Apartment N. 101: It can accommodate up to 4 people, it is rented from 100 € per Night (not per person). Elegant apartment in Venice features a beautiful coffered ceiling and illuminated by a precious lamp in Murano glass. Set in the heart of the city, away from the crowds, but at the same time surrounded by the most authentic Venetian life and within walking distance of the most important squares, museum and palaces. The apartment is on the second floor, is characterized by a small hallway, a large living room with two beautiful white leather sofas, television, dining table and chairs. The kitchen is bright and well equipped. The master bedroom has en-suite bathroom with washing machine, the other bedroom has two bunk beds and finally there is a bathroom with shower. The nearest vaporetto stop is to “Fondamenta Nuove”. Spacious, clean, quiet. 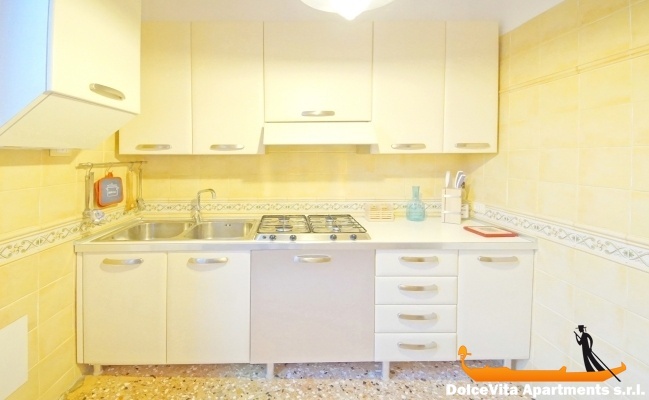 The geographical location is excellent, 10 minutes walk from Piazza San Marco. Shops, restaurants and bars in 2 steps. We were in 3: mother and two daughters. We had a great time. We recommend the apartment. The apartment is exactly what you see on the site, and it is excellent. 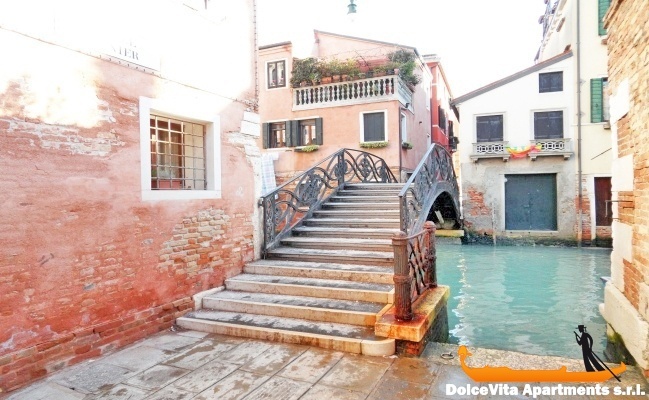 Apartment well located, quiet and near the center of Venice. Good day, our stay at the apartment was overall a pleasant one. And Ms.Velentina service was more than satisfactory! Please thank her for us. The only downside I would mention is the beds in the triple bedroom being on the small side... But I would still give apartment 101 a 4 out of 5. And thank you very much on your good service too. Definitely will book with you again. The apartment was very nice and well equipped, and a great position to spend a couple of days in in Venice. Valentina met us at Ca' d'Oro, and was very pleasant and helpful. It's well located and it's close to the most important attractions, in addition to the chance to live like a true Venetian. Comfortable, well divided, all renovated, a few minutes walk from the centre and stop of the boat but there is not any cooking utensils (small strainer, salad bowl). Extraordinary the availability of owner: she received us at vaporetto, she bought a WiFi modem for internet, she advised us where to eat and she resolved immediately a small problem (insufficient number of clothes hangers and other bathrobes). When I return to Venice I'll rent it again and meanwhile I'll recommend it to my friends and my relatives.